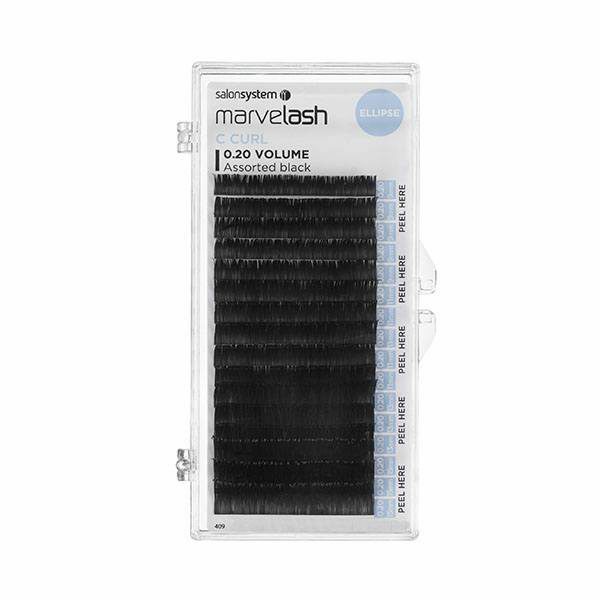 Ellipse Style for a full volume 0.20 appearance with the softness and lightweight feel of 0.07 lash. Unique 'Flat' base means a greater contact area for easy application, a perfect bond and longer lasting lashes. 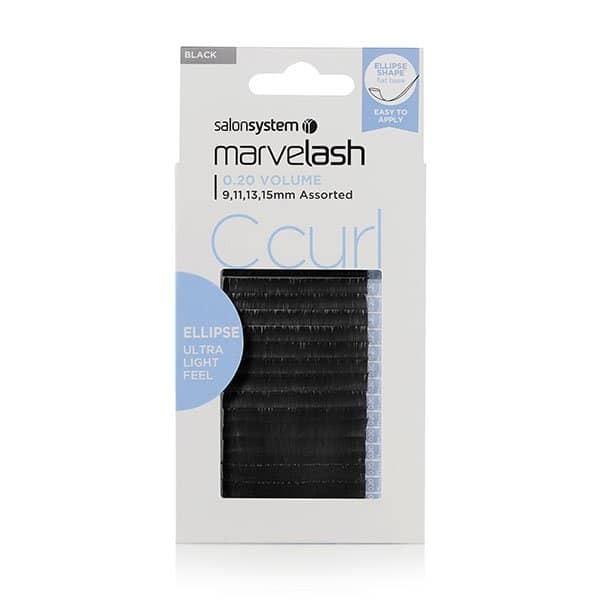 Assorted lengths - 9,11,13,15mm, C Curl, 0.20 volume, Black, synthetic hair.